Most of us may remember being told “stop doing that” as children. As we seek to be faithful to Jesus, we may be the ones hearing “stop it!” in order for the Good News of God’s love to be clearer to the world into which Jesus calls us. 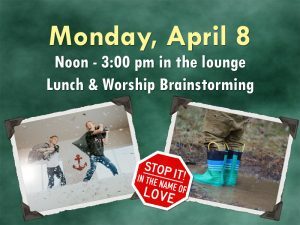 What do we need to stop doing so that we can love God and others more authentically in the name of Jesus – the Risen Savior? 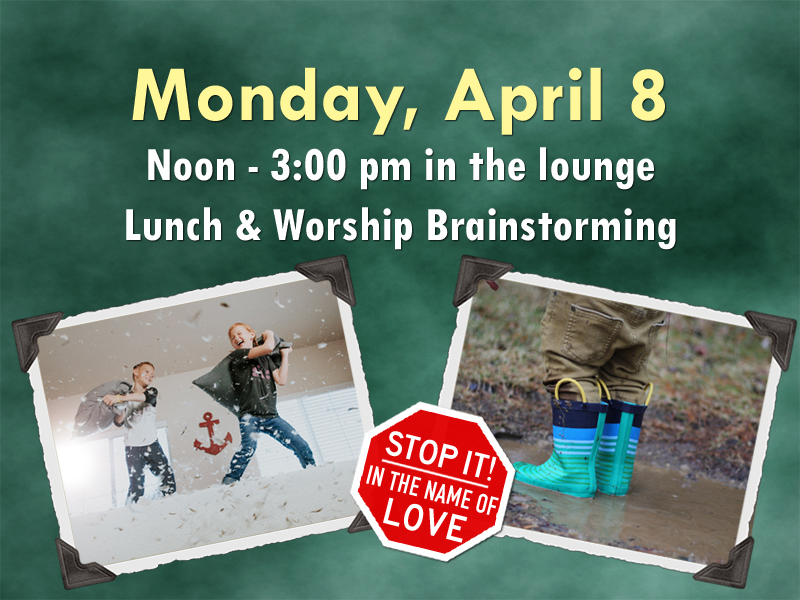 Join the worship team in the lounge for lunch and a time to brainstorm for worship. RSVPs are helpful, but not mandatory. Contact Karen Booth or our church secretary or sign up at church. Please read the scripture and message summary for each week and if possible, preview the videos before we gather. Hard copies of the this information will be at church on an information tower.